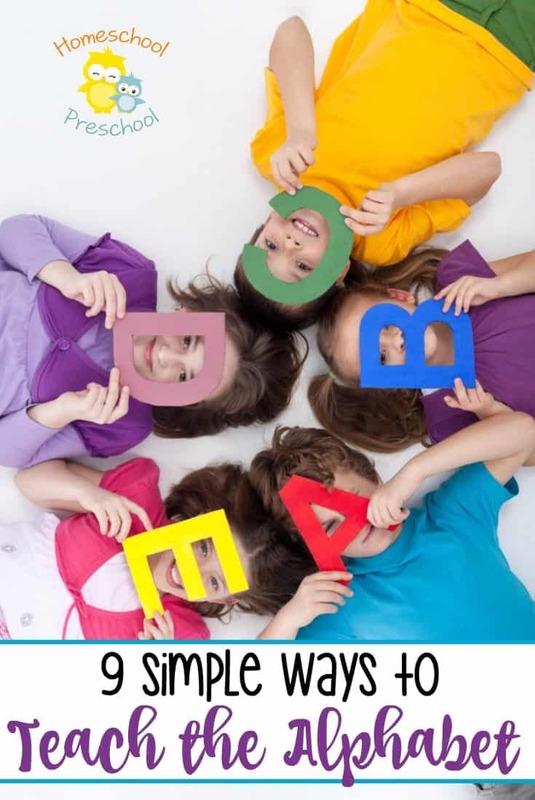 Is your preschooler ready to learn the alphabet? Are you singing the ABCs with them? Are you looking for more tools to add to your resources toolbox? Look no further. 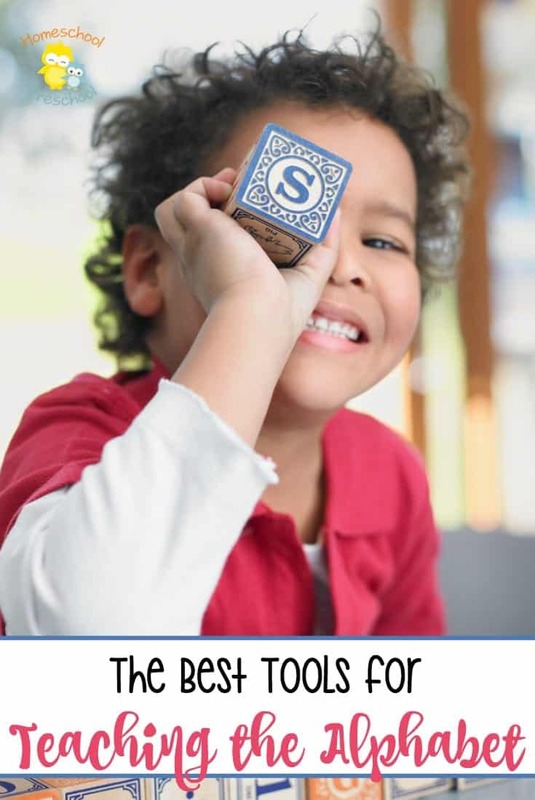 These tools are great for preschoolers. There are resources for auditory, visual, and kinesthetic learners. Arm yourself with a few of these tools, and your preschooler will be well on their way to learning to read. My sister swears by the Leap Frog Letter Factory DVD. She swears that Leap and his friends taught my nephew all of the letters and their sounds by the time he was three. They didn’t have these when my kids were learning their ABCs, but my hands-on learner would have loved them. He would have loved using the pieces in this kit to build each letter of the alphabet as we studied them in our homeschool. Have you discovered Wikki Stix yet? They’re wax-coated strips of yarn that kids can bend and form into various shapes. They stick to each other so kids can build. This set of alphabet cards is great, because kids can use their wikki sticks to form each letter of the alphabet. 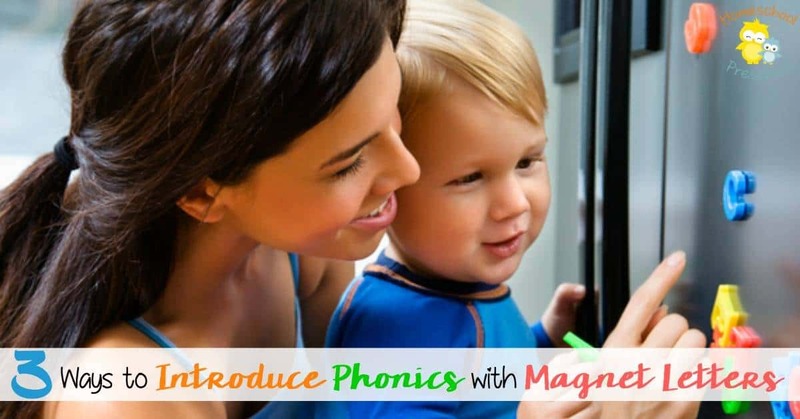 That’s great for fine-tuning motor skills and honing in on letter recognition at the same time. All three of my kids had these wooden blocks when they were young. Not only can kids get creative with them, but you can get creative, as well. Ask your preschooler to build a town with their blocks. Next, ask them to drive their play car to the A Store. Have Polly Pocket visit her friend who lives in House P. Rainbow Dash needs to pick Pinkie Pie up from Bakery B. Your kids will have so much fun they won’t even know they’re learning! 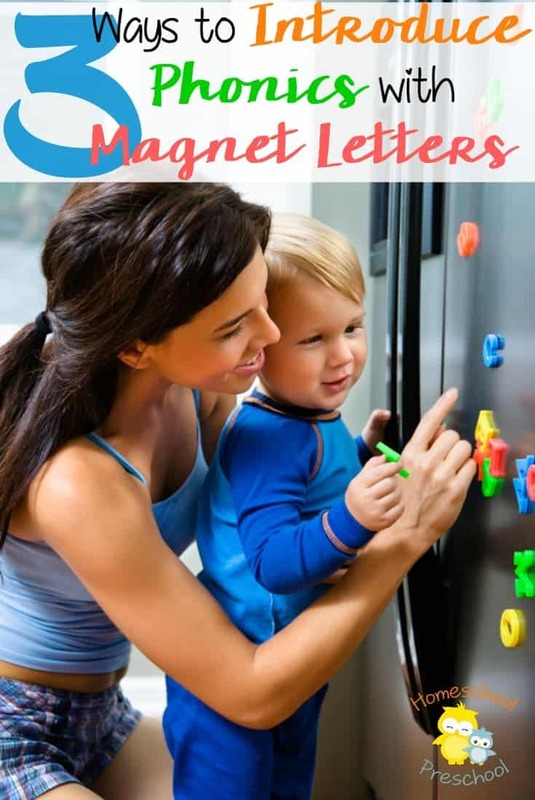 Sara, a contributing writer here at Homeschool Preschool, shared three fun ways you can use magnet letters with your preschoolers. Check them out! Once your preschooler starts to get a good grasp on the alphabet, it’s time to work on matching the uppercase and lowercase letters. They’ll love snapping these alphabet alligators together. You’ll love that they’re reinforcing what you’ve been working on while they work on their hand-eye coordination and motor skills. We had some giant floor puzzles when my kids were little. They loved putting the puzzles together. The pieces were big enough for them to manipulate on their own. Puzzles are great for promoting hand-eye coordination and beginning problem-solving skills. Here are some great alphabet floor puzzles to choose from. I can’t stress enough how important it is to surround your preschooler with books! Whether they’re thumbing through the books on your own or you’re reading to them, preschoolers need you to read to them. The more exposure they have to books the easier it will be for them to learn the alphabet. 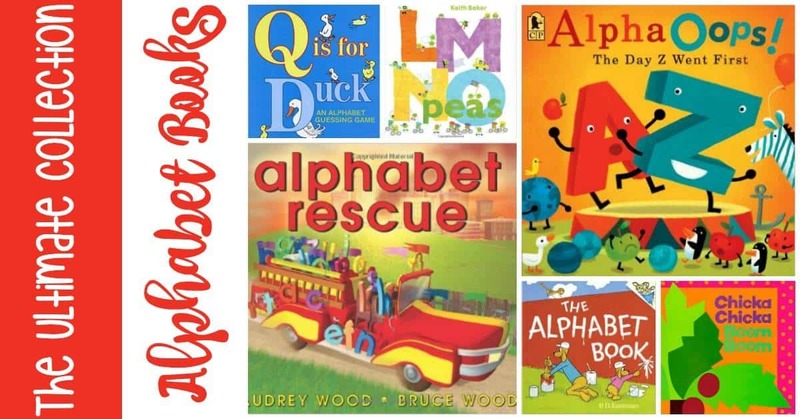 I shared 50 alphabet-themed picture books earlier this week. That post also contains a list of all 50 books that you can print out and take to the library with you. You don’t want to miss it! 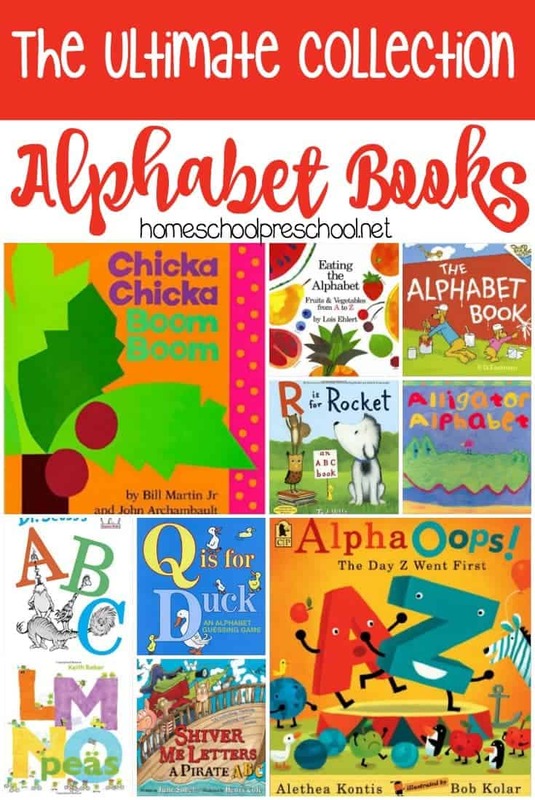 What is your favorite tool for teaching the alphabet to your preschoolers?